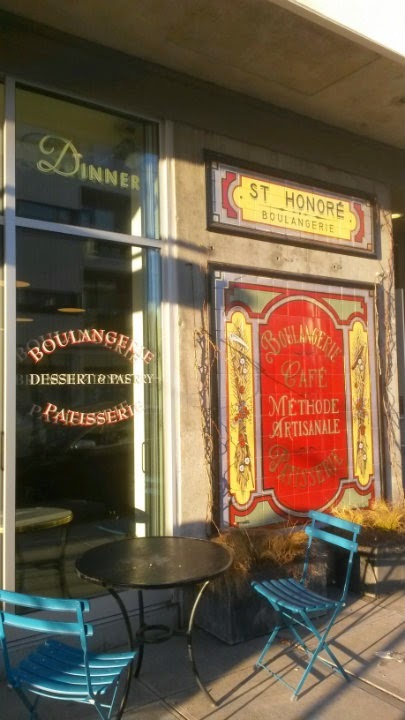 St. Honore Boulangerie is a French bakery with two Portland spots and one Lake Oswego location. This blog post is for the spot on SE Division in Portland, Oregon. 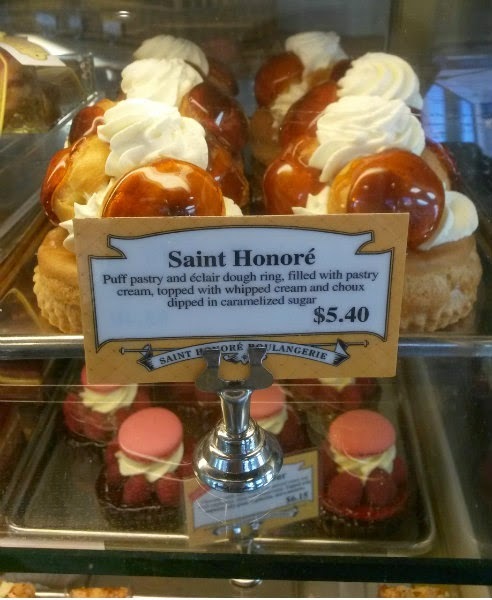 St. Honore has a wide array of sandwiches, pastries, and desserts. Their paninis are already assembled in the display case, but are pressed to order. St. Honore also makes their own bread and will rotate a few seasonal items. 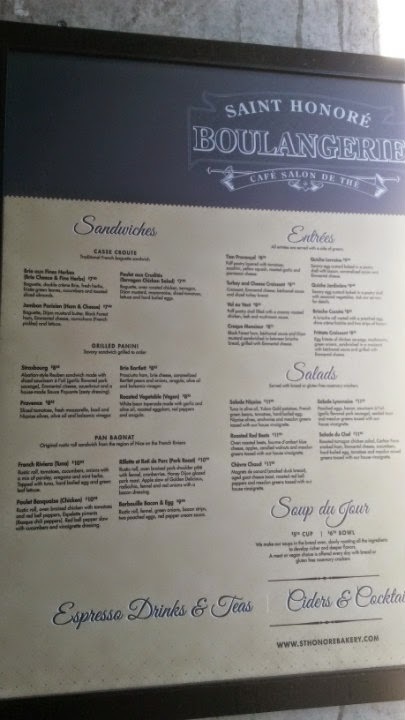 The Division location even has its own menu of savory dishes. 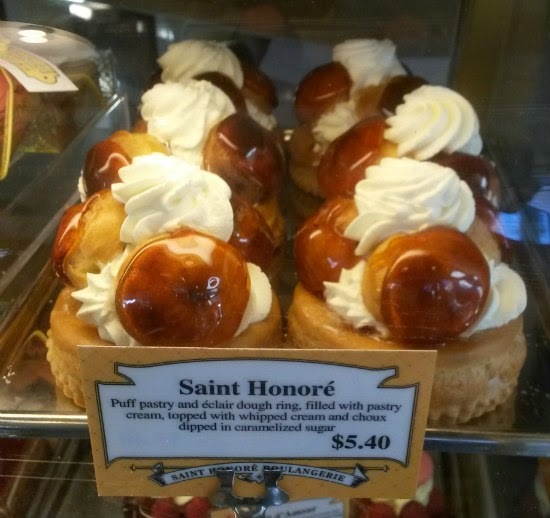 The St. Honore ($5.40) is one of their signature desserts: puff pastry and eclair dough ring, filled with pastry cream, then topped with more whipped cream and choux -- and that's dipped in caramelized sugar. My brain turned off about halfway through the description, but it still looks incredible. 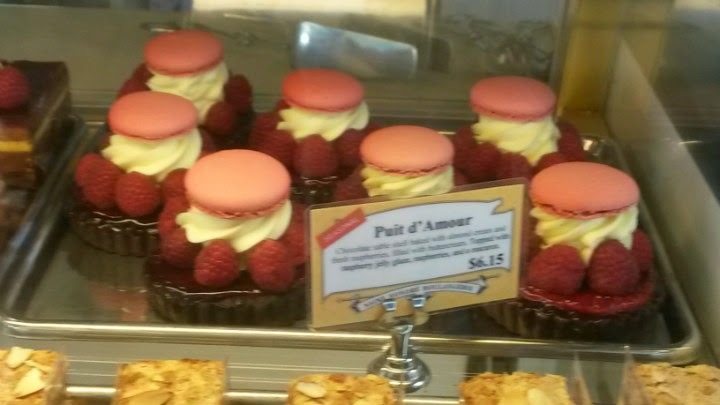 I ended up with one of their seasonal items, the Puit d'Amour ($6.15). 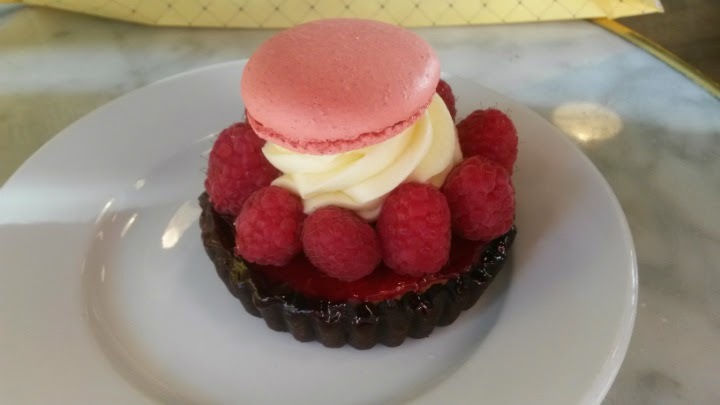 It's a chocolate pastry filled with raspberry jelly, topped with almond cream and fresh raspberries, then a macaron (probably raspberry again) on top. Wonderfully made. The shell is solid enough to stand up to all the filling and toppings, but breaks off with just some effort. The desserts are on the pricey side, but you're getting expert craftsmanship and execution.